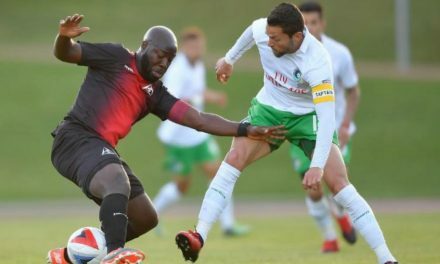 NEW YORK – Forward Stéfano Pinho lifted Miami FC out of its brief dip in form, scoring twice in the club’s 3-1 victory over Indy Eleven at Riccardo Silva Stadium Saturday night. 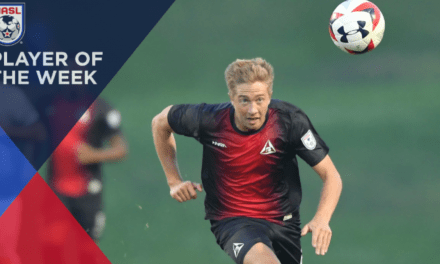 The Brazilian forward’s performance earned him North American Soccer League player of the week honors. Pinho opened the scoring with a header from close range in the 48th minute. The 26-year-old forward snuck in behind the Indy defense to power Jaime Chávez’s cross into the back of the net. Just over 20 minutes later, with a 2-0 lead, Pinho used his head again to nod home former Cosmos defender Hunter Freeman’s cross from the right flank. The two goals saw Pinho leapfrog his strike partner, Vincenzo Rennella, for the NASL goalscoring lead. 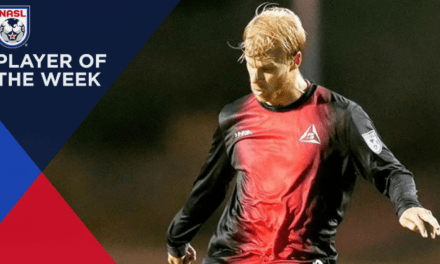 The former NASL Golden Boot winner has scored 11 league goals this year – one more than Rennella and four more than Indy’s Justin Braun and North Carolina FC’s Lance Laing. 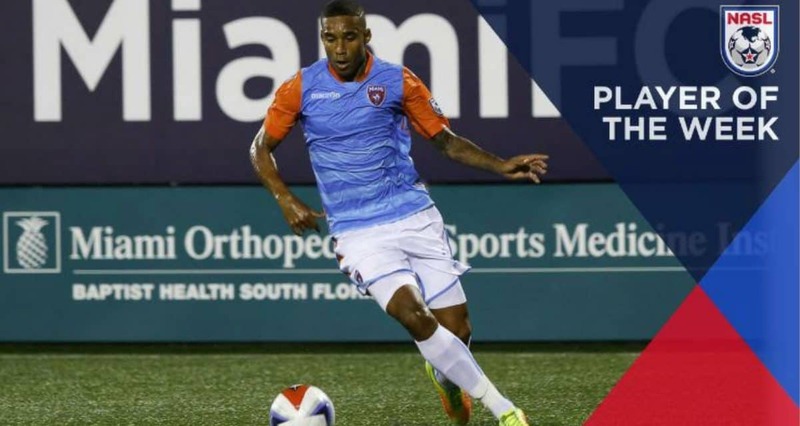 Pinho’s performance on Saturday night was a welcome sign for Miami FC, which opened the fall season with two consecutive losses following a fabulous run during the spring season. Even with the two-game skid, Miami holds an eight-point advantage in the NASL combined standings. Playing in his third NASL season, Pinho continues to add to his reputation as a reliable and consistent goalscorer. A native of São João Nepomuceno, Brazil, Pinho made a name for himself in 2015 when he won the NASL Golden Boot award after scoring a league-high 16 goals for the Fort Lauderdale Strikers. He scored five times for Minnesota United FC last season before moving to Miami and eventually hitting his stride in 2017. Pinho got his start with Brazilian powerhouse Fluminense, where he ended up being loaned out several times. In 2014, he scored seven goals during a season-long loan at Finnish side MyPa. Miami FC returns to the field quickly this week when it pays a visit to North Carolina FC at Sahlen’s Stadium Tuesday at 7:30 p.m.